“There may be lots of development, but if there is no security, development is meaningless. 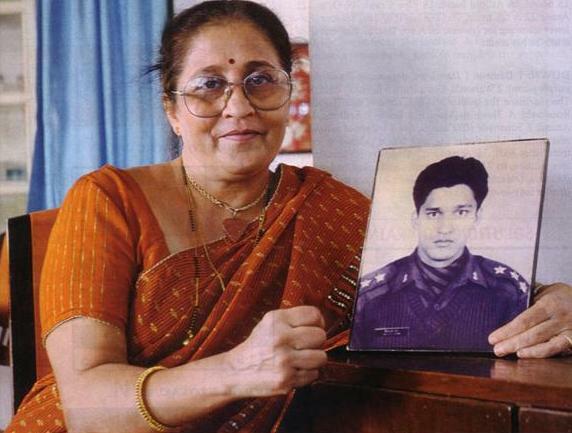 Therefore, join the army” is the motto of 60-year old Anuradha Gore. Fourteen years ago, Captain Vinayak Gore laid down his life fighting insurgents at his post near Kupwara during Operation Rakshak. Since then, his mother Anuradha Gore has drawn up a battle plan of her own. Since the death of her son, Gore took it upon herself to educate and inspire young children about joining the armed forces. During school vacations, she conducts workshops on all-round development, leadership skills, terrorism and about the armed forces as this is her way to keep Vinayak alive. “Values of bravery have to be inculcated in children at a young age so that they grow up to realise the importance of joining the army,” says Gore. She narrates stories of brave war heroes like Shivaji, Veer Savarkar and Mangal Pandey. On a regular basis, she also tutors students of class 4th – 6th students of Paranjpe Vidyalaya in self study techniques. She has a team of 12 housewives who help her in this mission. Gore feels that today children are looking out for more lucrative opportunities, but joining the armed forces does not necessarily mean the person will die. The salaries may be less but benefits are tremendous. She was a teacher at Parle Tilak High School till 2003 and retired as the principal of R. N. Podar High School in 2007. Her teaching profession helped her deal with the death of her only son. “The principal of Parle Tilak High School sent me a letter stating that there are more than 100 Vinayaks waiting for you in school and there will be many more,” adds Gore. Gore has written a book titled Vaaras Hovu Abhimanyuche on the lives of 19 slain defence persons. In addition, she serves as a columnist for Marathi newspapers.